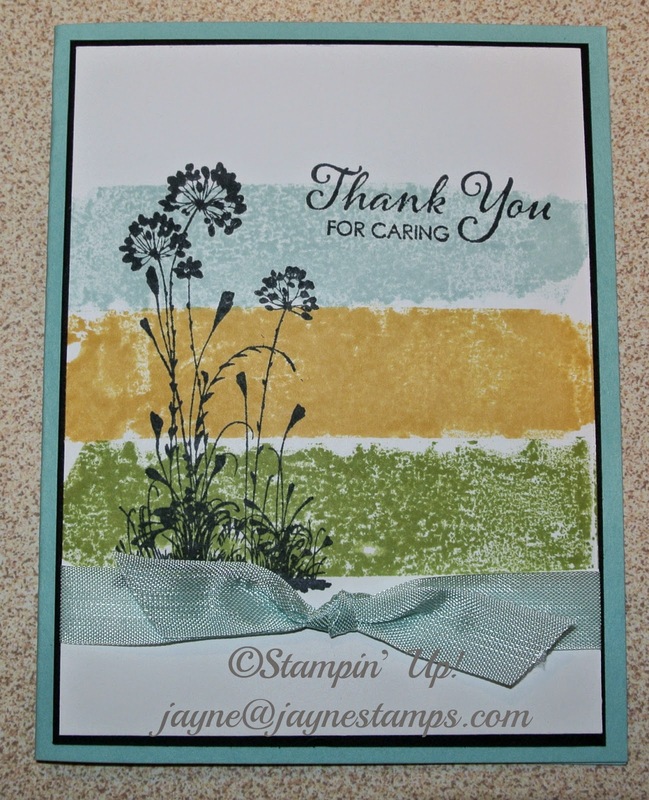 As I mentioned before, I have been honored to be able to teach stamping classes at our local school as part of their continuing education courses. I try to keep the cards fairly simple, but still interesting enough for the more experienced stamper. 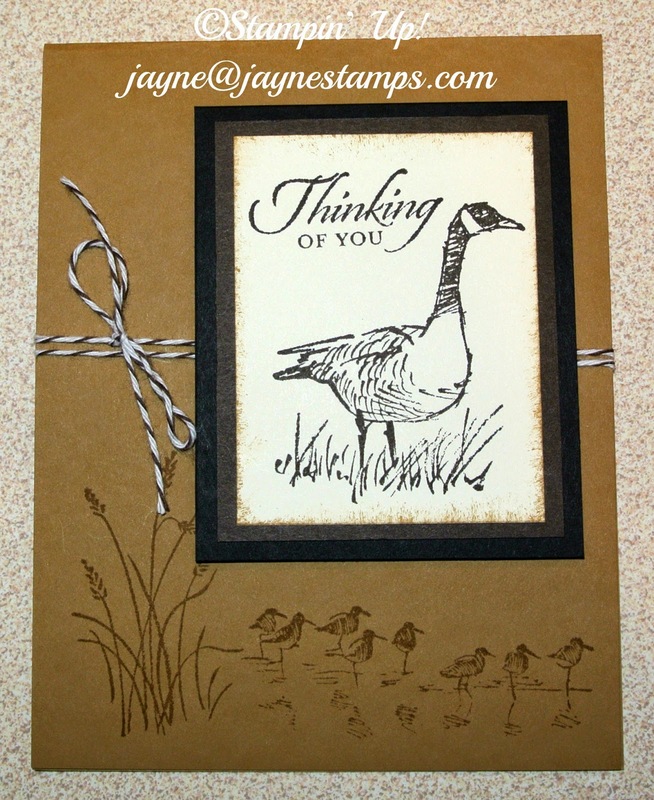 I like to start the class out with a simple card like this monochromatic one done with Wetlands. I don't know about you, but it seems that I always need more masculine cards on hand. The ladies absolutely loved this next card! It was CASE-d from somewhere online, but I can't remember where. (That information would be on my computer that is in the shop right now.) 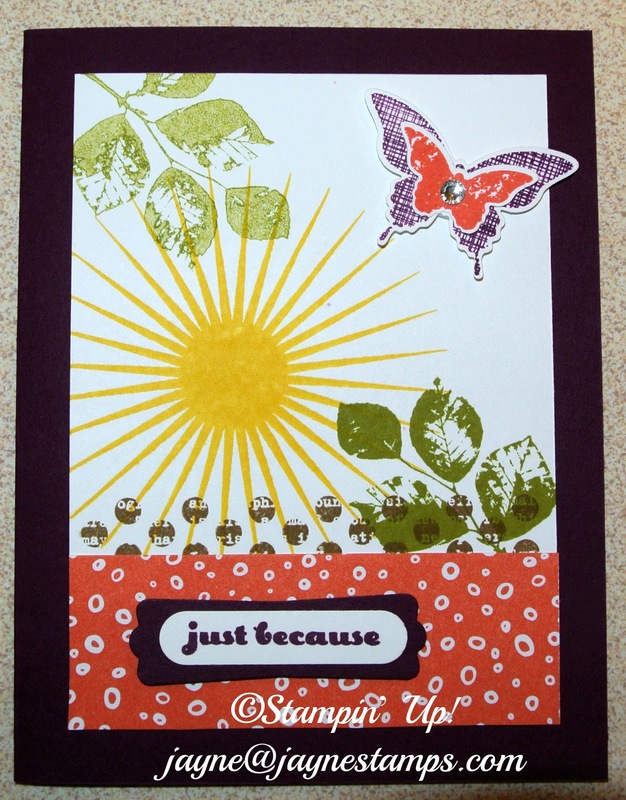 Anyway, it's made with the Beautiful Bunch stamp set and coordinating Fun Flower Punch. Have you fallen in love with the Kinda Eclectic stamp set yet? 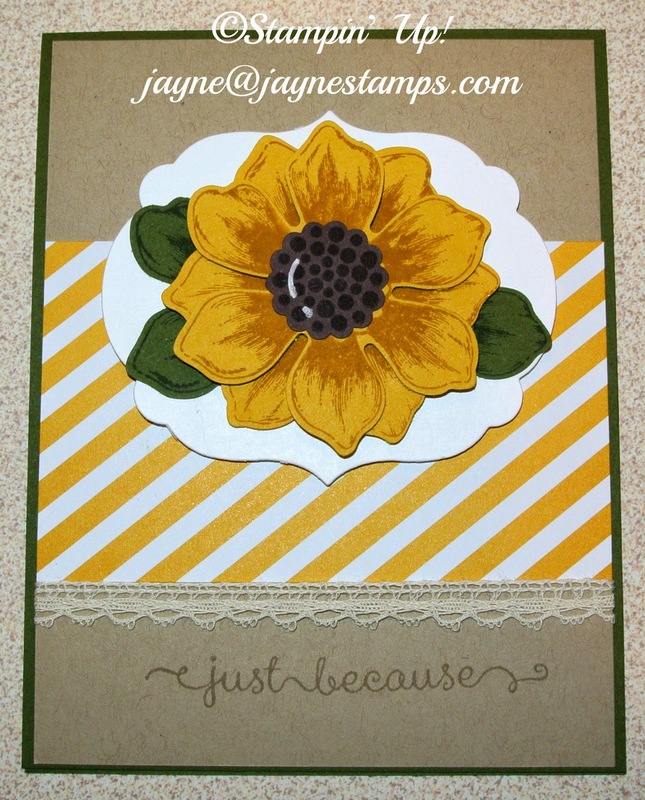 It's so versatile and just stamping that big sunburst makes me smile! The last card of the night used the "Masking Tape Technique" with Serene Silhouettes. This technique makes such a cool background for your images.